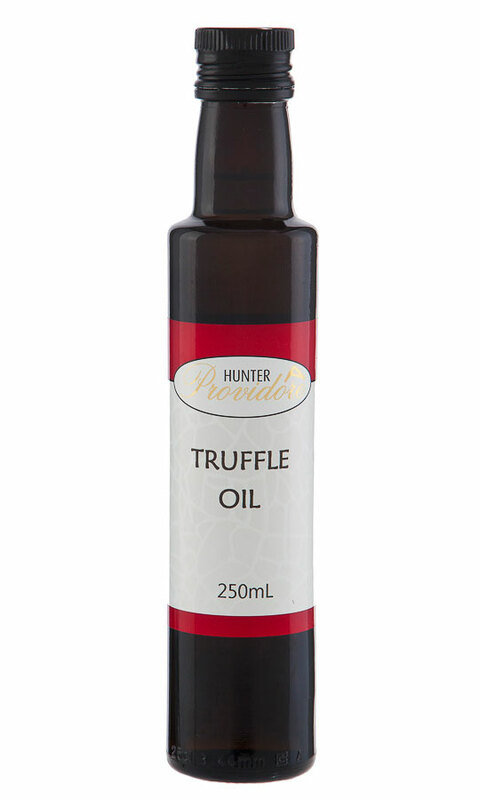 Hunter Providore Truffle Oil is a blend of our Australian extra virgin olive oil and Italian truffle aroma. A superb addition to risotto, steak, eggs, mashed potatoes, soups and pasta. Also sold in our cellar door in 100 ml size. Extra virgin olive oil lightly infused with garlic oil. Sprinkle over pastas, blend into home-made mayonaisse, drizzle over lamb chops or use to baste over roast meats, again, just about anything really. Chilli infused extra virgin olive oil. A great condiment to be used as a dip for bread, drizzle on soup or add to dressings. Roast your vegetables with it, sprinkle over your pasta. Just a few suggestions. 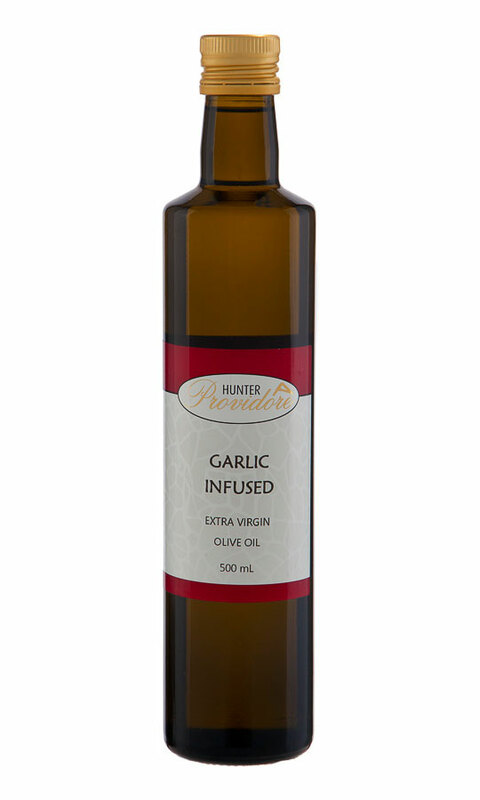 Herb and garlic infused extra virgin olive oil. 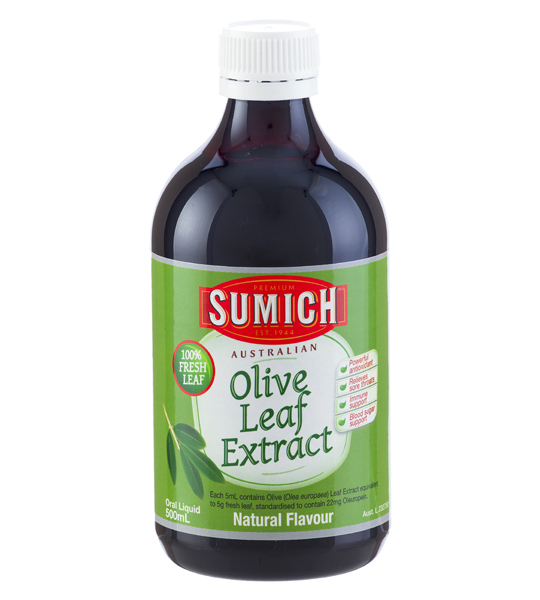 Use it with crusty breads, on salads, roasting vegetables and pasta dishes. Just about anything really. 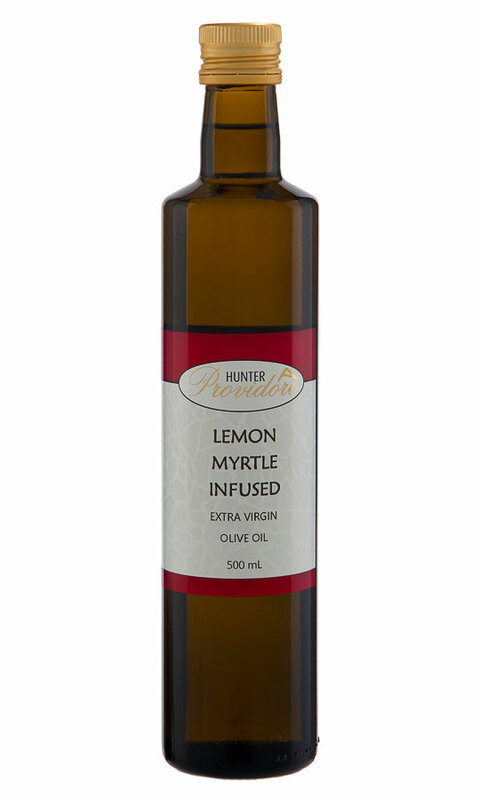 Lemon Myrtle is used in Australian bush cuisine, a superb cirtus fragrance and taste. Blended with our high grade extra virgin olive oil to be drizzled over fish, salads, roasting vegetables and pasta dishes. Try some. Our premium extra virgin olive oils are made from locally grown olives and are pressed at our on-site olive mill. No heat or chemicals are used during the oil extraction process to ensure that all the health and flavour benefits are retained. This oil is infused with chilli and garlic, great for salads or why not spread on some delicious crusty bread with a sprinkle of Parmesan.